About Gianluca Tamburini : Conspiracy is a brainchild of the thirtysix years old Italian shoe-designer Gianluca Tamburini, who has always been attracted to beauty and women. After extensive researches, he created a leading edge sandal line, for a unique, special woman, who loves travelling and living her life as a protagonist: the perfect interpreter of the sensual and adventurous soul of the project. An extra-light aluminium sole is combined with the iconic ¾” heel, creating an authentic modern sculpture, obtained from state of the art equipment, which provides to the client the chance to customise her shoes. High technology and cutting edge materials form a modern sculpture, having the shape of a sandal, but where the touch and experience of skilled Italian craftsmen are still visible so to offer a valuable example of excellence and to ensure the work assumes the contours of a unique jewelry shaped as a sandal, as unique as the women who wears it. Design is the fine art of renewing what exsists turning it into something commonly recognized as substantially new and innovative as well. Never been a member of a jury. 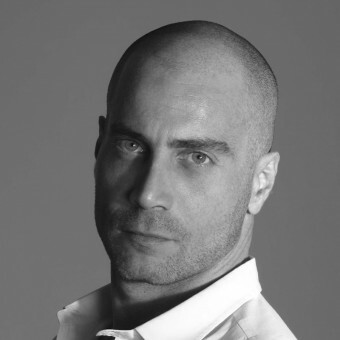 Press Members: Request an exclusive interview with Gianluca Tamburini.